Tuvalu is a small Polynesian island country. It is one of the Commonwealth realms – members of the Commonwealth of Nations that have Queen Elizabeth II as the reigning constitutional monarch. Like some other realms, Tuvalu celebrates the Queen's Official Birthday. Here it is observed on the second Saturday in June. 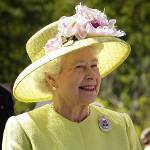 The Queen's Official Birthday is a public holiday in the UK, some Commonwealth realms and British overseas territories. Its date varies as adopted by each state or territory. The holiday is typically observed in June. The first British monarch to celebrate their official birthday in June was Edward VII. He was born in November, so he decided to move the celebration to June in the hope of good weather. The Queen's Official Birthday in Tuvalu is celebrated on the second Saturday in June, so it often coincides with its counterpart in the United Kingdom. It is marked with relevant events and activities. They include special church services and prayers, singing of the national anthems of the UK and Tuvalu, flag hoisting, public speeches, a Royal Salute, and a parade. As Queen's Birthday is a public holiday, all government offices, educational institutions, and most businesses are closed for the day.